Place a steamer basket in large saucepan. Add enough water to come just below the basket. Bring water to a boil and reduct heat to a simmer. Place potatoes in steamer, cover and cook until tender, about 15 to 20 minutes. 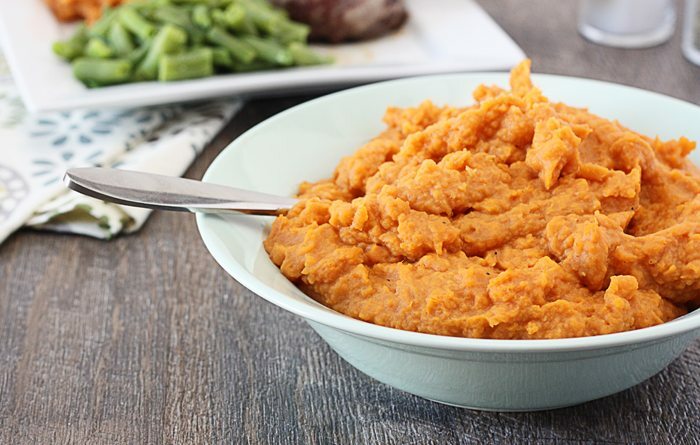 Mash warm sweet potatoes with a hand mixer or potato masher. Add almond milk, butter, salt, pepper and nutmeg. Mix until all ingredients are well blended, adding salt and pepper to taste.